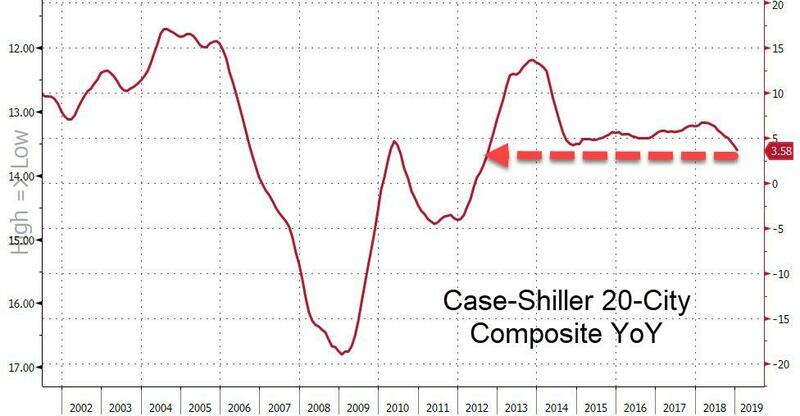 Case-Shiller's 20-City Composite grew at just 3.58% YoY in January (well below the 3.8% YoY expectation and December's 4.14% YoY print). 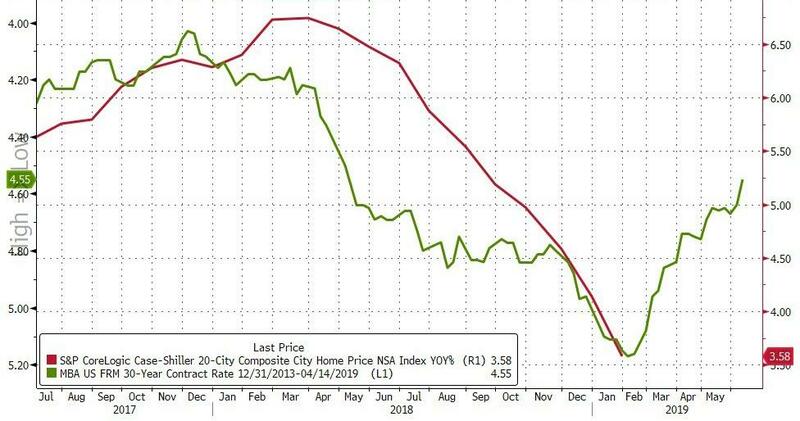 This is the weakest annual growth since September 2012, decelerating for a 10th month in January as buyers held out for more affordable properties. The data indicate that the 2018 slump in housing extended to the start of this year amid the longest-ever government shutdown and still-elevated home prices. All 20 cities in the index still showed year-over-year gains, led by a 10.5 percent increase in Las Vegas and 7.5 percent in Phoenix. The weakest gains were in San Diego, with 1.3 percent, and San Francisco at 1.8 percent -- down from 10.2 percent a year earlier. Prices in 14 cities rose from the prior month on a seasonally adjusted basis, while five declined and one was unchanged. The biggest drop came in San Francisco, at 0.6 percent. 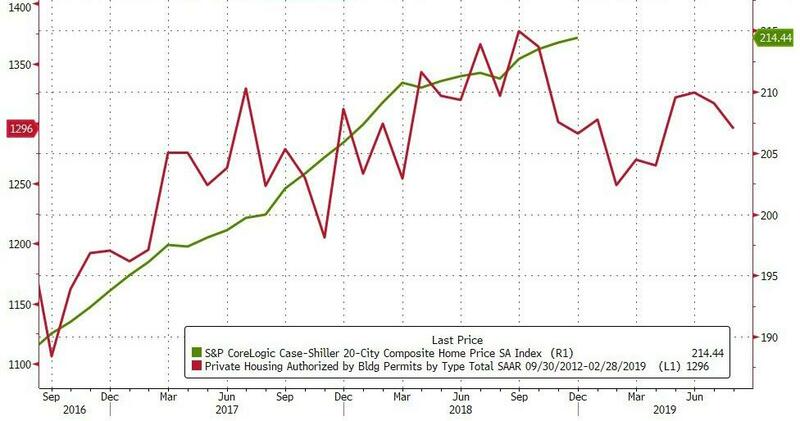 “It remains to be seen if recent low mortgage rates and smaller price gains can sustain improved home sales,” David Blitzer, chairman of the S&P index committee, said in a statement.